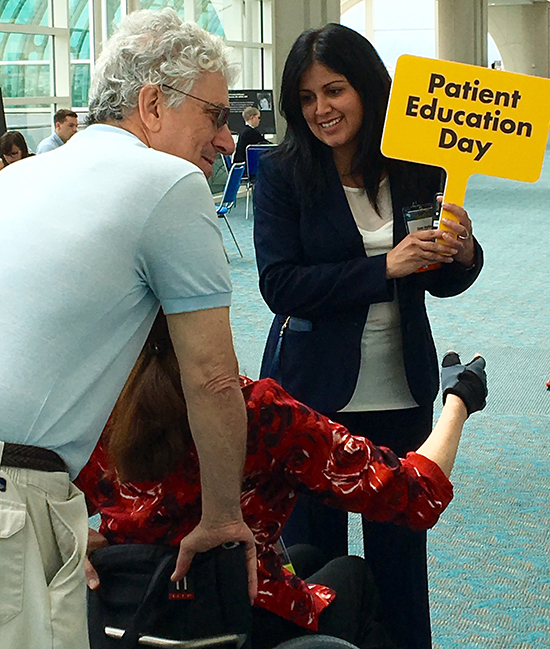 SNMMI's 2019 Patient Education Day will be held June 23 in Anaheim, California. The Society of Nuclear Medicine and Molecular Imaging (SNMMI) maintains a long-standing commitment to supporting patients, partnering with patient advocacy organizations on issues of mutual interest and priority, and providing educational programs for consumers to help them understand molecular imaging and the constructive role it can play in both diagnostic and therapeutic settings. Each year, we offer free patient education in a variety of formats, all of which are developed with the guidance of our active Patient Advocacy Advisory Board. Information about the live programs/events can be found in the links to the right. For our annual Patient Education Day, we will hold general sessions to cover the basics about what nuclear medicine and molecular imaging are, followed by the disease-specific breakout sessions that will provide information about how this technology applies to patients with that disease/ailment. SNMMI also holds an annual Hill Day that allows our patient advocacy partners to engage legislators in preventing cuts that will directly affect the use of nuclear medicine imaging and therapy for improved patient care. We are always working to make this information more available to the public. Please check back for new event information.